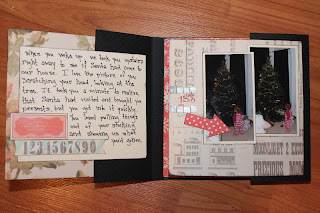 Here's another project I made with my November kit from Treasured Memories. Again, it was Pink Paislee's City Sidewalks line and it is a really nice, subtle vintage Christmas line. Yes, these are pictures from two years ago.... I get to things eventually. This is a neat concept for a mini album, in my opinion, it's basically a cover with an accordian album set inside, but it's attached at the middle of the accordian fold, so it opens in both directions. This is a picture of the inside of the cover, which also opens to the left and right. The above picture is with the right side closed and below, with both inside covers open. This is the accordian fold section all opened up. 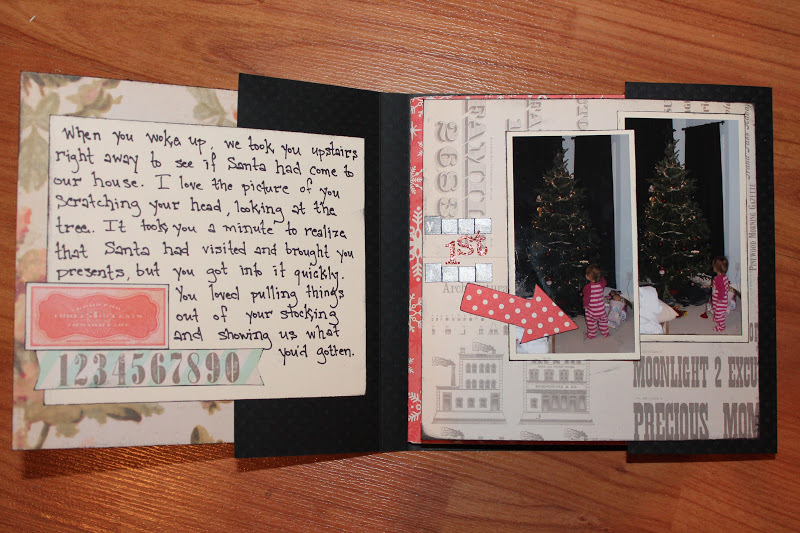 If you'd like to make a mini album like this, I made it following Katherine McElvain's guide here.